Sacred Images is a unique collection of original fine art, and archival prints. The images that make up this collection are designed to provide soothing and beautiful imagery that is rooted in the healing traditions of Vedic culture. Each original hand-painted image has been thoroughly researched. Meticulous attention has been paid to practicing, understanding and maintaining the Vedic traditions that inform these powerful images. A Yantra is a geometric composition that reveals a particular energy configuration whose power increases in exact proportion to the abstraction and precision of the diagram. 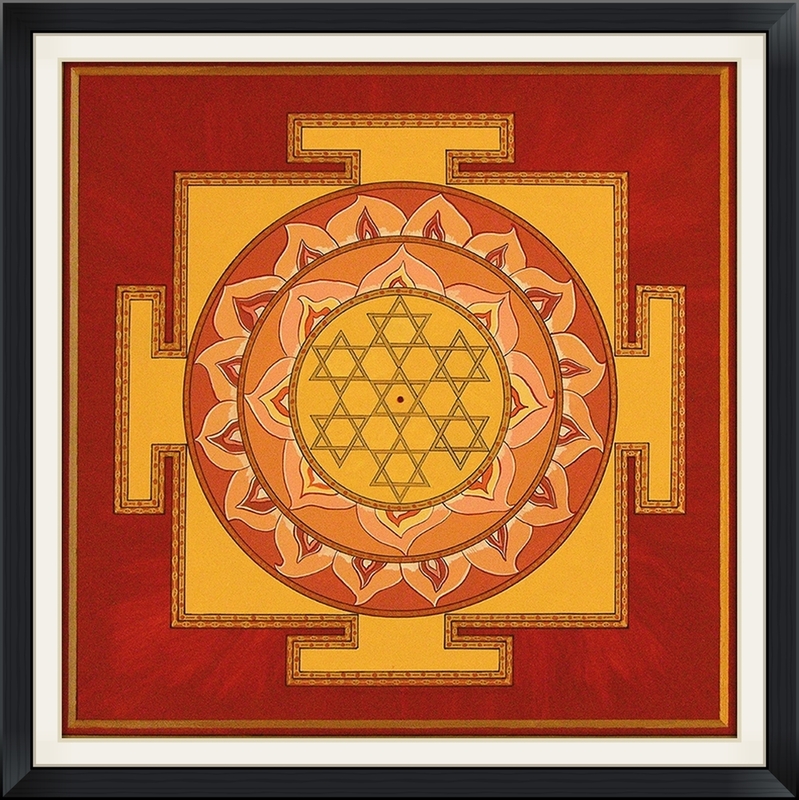 Used together with mantra, or seed sound syllables, each Yantra displays the patterns of force heard in the mantra. 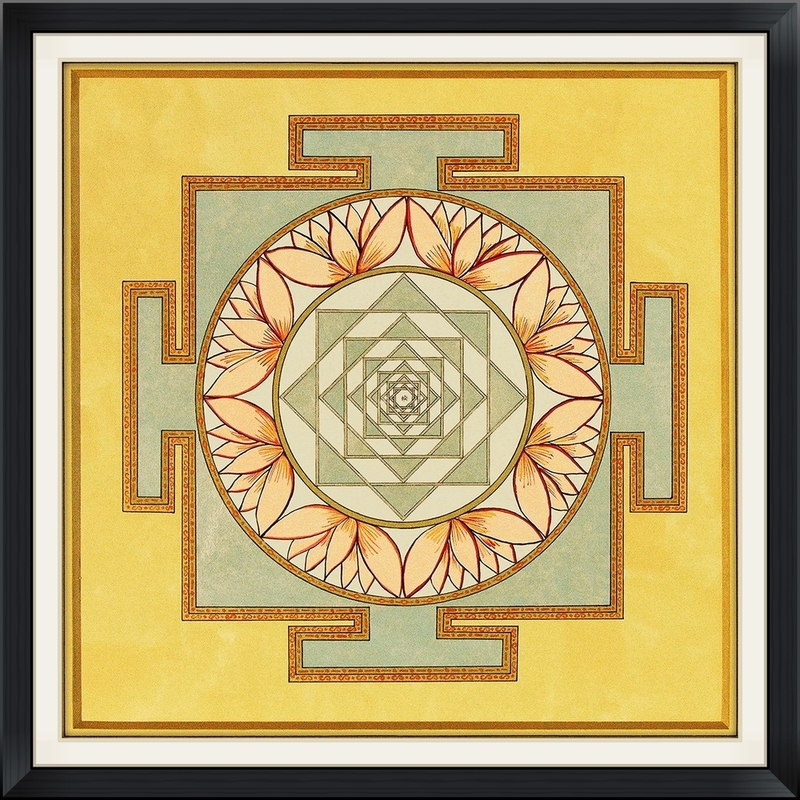 The discipline of Yantra has its roots in the ancient Vedic traditions of southeast Asia, or present day India. A Mandala (a closed circular template) is a structural matrix, through and from which flow a succession of changes. It consists of a series of concentric forms representing a passage, or a portal to the Self. The mandala form exists in the visual healing traditions of the majority of indigenous cultures globally. Following the patterns within a Yantra or Mandala while moving towards the center-point, enlivens in our consciousness corresponding experiences, feelings and recognition of harmony with the eternal rhythms of nature and the cosmos. The Yantra and Deity images presented here, were created following the rules and precepts consistent with these disciplines. All images presented have been executed by PennyLea Mackie.